We already know the 2019 WE Fest lineup includes Chris Stapleton, Keith Urban, Jake Owen and Brooks & Dunn. On Wednesday, January 30 you'll find out who else is coming and you can win passes all week long. WE Fest announced today that country superstar Keith Urban and the legendary duo Brooks & Dunn are joining Chris Stapleton as headliners for the 2019 festival. if you're not there, you're missing one of the coolest country music festivals of the year! The biggest voice in country music is coming to WE Fest in 2019. These are some of the hottest tickets of the 2018 festival season! 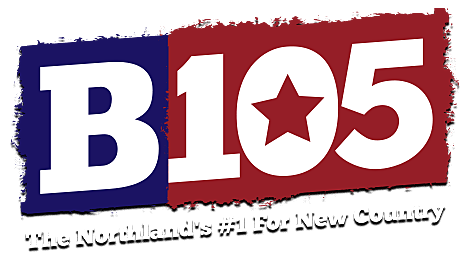 B105 and Bud Light are throwing a Friends In Fun Places Party to thank you for making us #1 For New Country and you can win tickets to fun experiences and even $500 cash to create your own fun with friends. WE Fest has announced 11 more artists who will be joining its 36th annual festival on August 2-4 in Detroit Lakes, Minnesota. WE Fest has made their announcement for the final headliner of 2018, and it's huge!